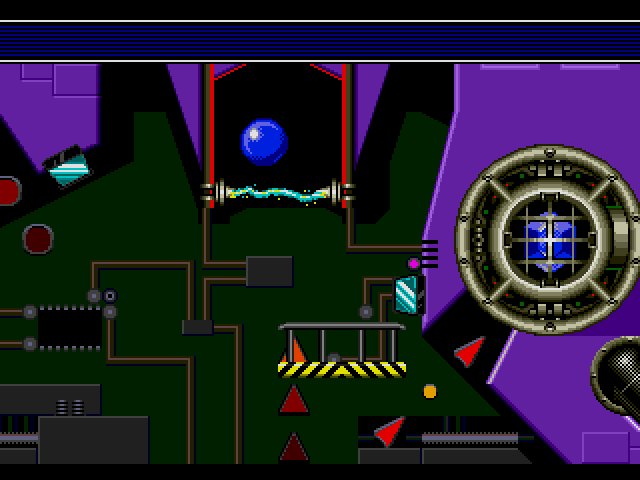 Sonic the Hedgehog Spinball (USA) (Alt) is a game that was released by Sega. Darn. Sonic must be in the sewers right about now. 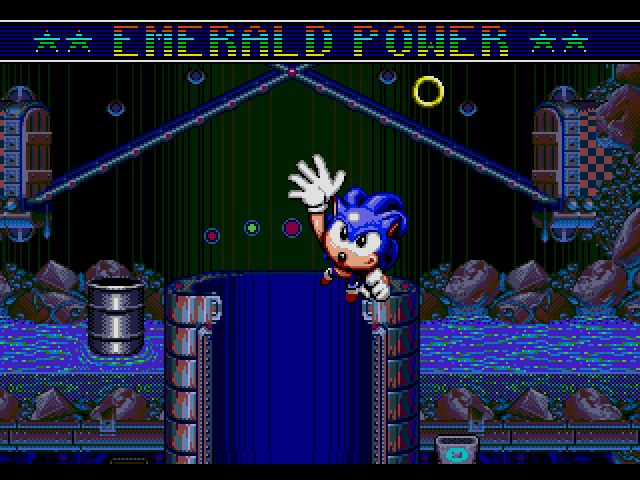 Sonic in a pinball setting is one of the ideas toyed with since the start of the series, in Sonic 1's Spring Yard and Special Zones. 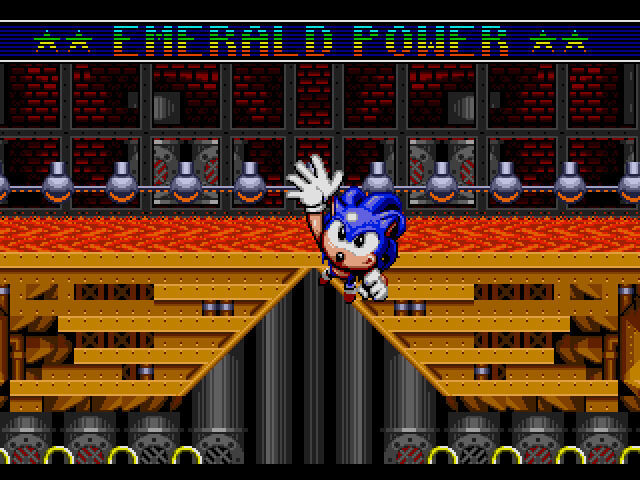 Sonic 2 worked around that idea too with Casino Night Zone, to the point where you can play some slots when Sonic enters a special receptor. 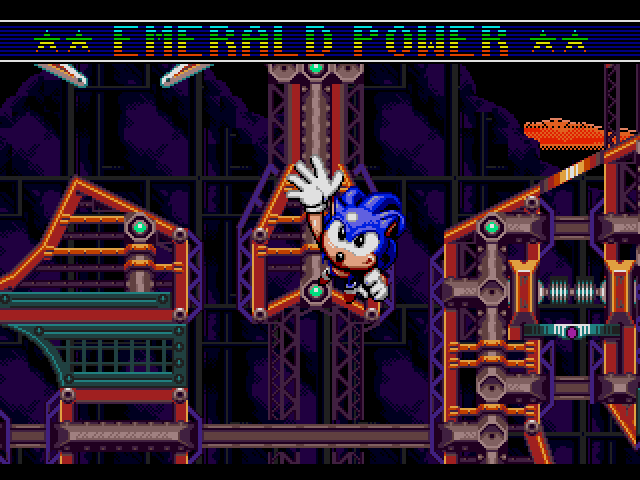 However, it wasn't until 1993 that the whole idea of making a Sonic themed pinball game became true. 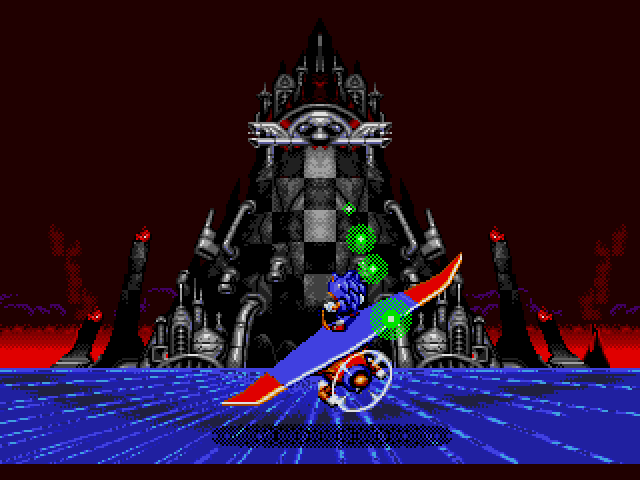 With Sonic Spinball, we can play pinball with Sonic as the ball. The game is built around the world of the Sonic the Hedgehog TV series, with enemies as well known as Cluck and Scratch, among others. Albeit the setting is fitting, the controls are awkward. 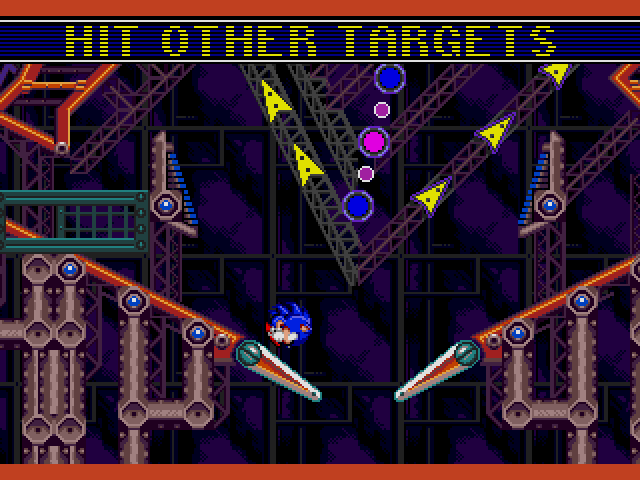 The game allows you to control Sonic slightly in midair, and the camera sometimes is frustrating, making for a really hard-to-maneuver game. You can handle Sonic as in a regular platformer when he stands in a flat area, but that's so uncommon that you might not need something like that at all. 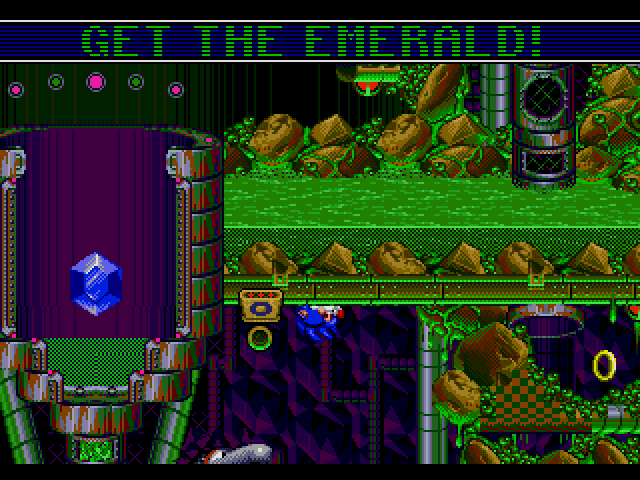 The game in all is very hard, as getting the emeralds needed to progress is difficult; even more when the goal is hindered by puzzle-like situations and made worst by the fine-grain control scheme which is quite complicated to learn to say the least. The addition of pinball related bonus games makes the game interesting and lessens the stress that the game brings up on each feature-filled boards. With 4 huge boards to play and lots of secrets, points and chaos emeralds to grab, this game is good, if you can cope with the problems. It's a must for any Sonic fan to play this game, albeit beating brings another question. This alternate USA version was created to change the music with the scores of the Japanese version. It was officially released in the later years of Genesis/Megadrive. Now you can add videos, screenshots, or other images (cover scans, disc scans, etc.) 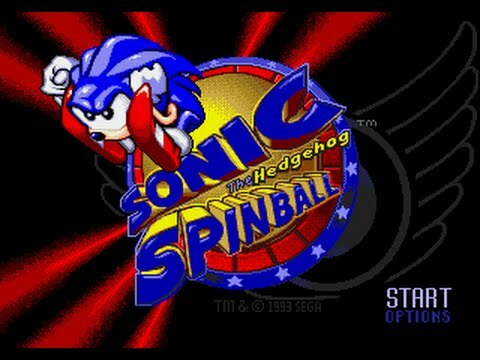 for Sonic Spinball (USA) (Alt) to Emuparadise. Do it now!